BEIJING, Dec. 1 (Xinhua) -- Xi Jinping, general secretary of the Communist Party of China (CPC) Central Committee, said Friday that the CPC would neither import foreign models of development nor export the Chinese model. 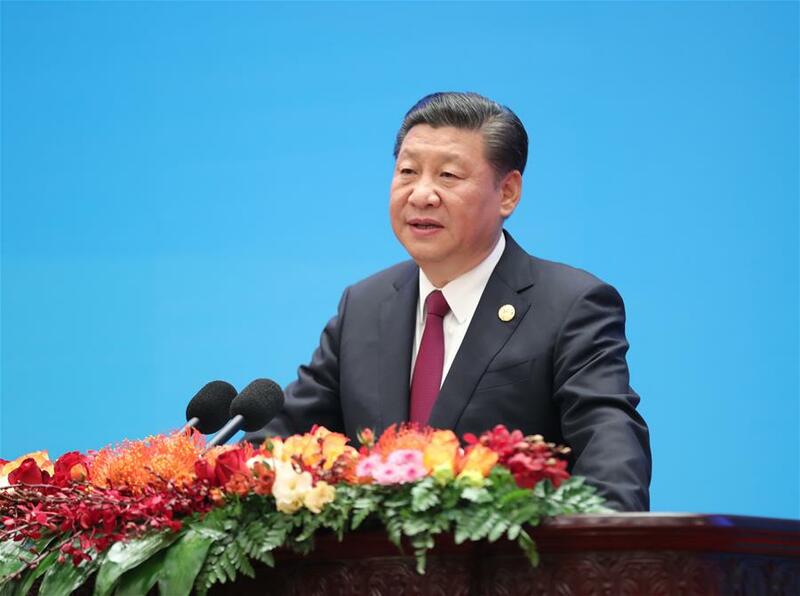 "We will not ask other countries to copy the Chinese practice," Xi said while addressing the opening of a high-level dialogue between the CPC and world political parties in Beijing. To date, China has dispatched over 36,000 peacekeeping personnel and the country is acting as a major peacekeeping force and contributor of funds for UN peacekeeping missions, Xi said. "At this very moment, there are more than 2,500 Chinese peacekeepers on UN missions in eight locations, safeguarding local peace and tranquility, despite difficulties and dangers," Xi said. He also pledged that no matter what stage of development it reaches, China will never seek hegemony or engage in expansion. Also, the Party will continue work for common development around the world, Xi said. By the year of 2020, China will finish building a moderately prosperous society in all respects. By 2035, socialist modernization will be basically realized and by the middle of the 21st century, China will develop into a great modern socialist country that is prosperous, strong, democratic, culturally advanced, harmonious, and beautiful. "This will benefit the Chinese people, and all people of the world as well," Xi said. Moreover, the CPC leader said the Party will contribute to exchanges and mutual learning among the civilizations of the world. With an open mind and inclusive attitude, the CPC will respect all people around the world and is willing to conduct dialogue, exchange and cooperation with people and political parties all over the world, Xi said. For a long time, the CPC has been in regular contact with over 400 political parties and political organizations from more than 160 countries and regions and this "circle of friends" is developing continuously, Xi said. Facing the future, the CPC is willing to strengthen the exchanges with other political parties, share its experience in Party and state governance, carry on communication and dialogues among different civilizations and promote strategic trust with others, Xi said. The CPC is also willing to work with people around the world in advancing the building of a community of shared future and creating a better world, he added.